The innovation will lead to a pain-free alternative to monitoring blood sugar levels in diabetic patients. Researchers from the King Abdullah University of Science and Technology (KAUST), Saudi Arabia, have recently developed disposable paper-based sensors that can efficiently measure glucose concentrations in saliva. Sources close to the research cite that the strips of pH-sensitive paper, commonly used to test whether a liquid is alkaline or acidic, were used by researchers to develop paper sensors that swiftly indicate disease biomarkers. The key approach was to exchange traditional electronic circuitry in the sensors with affordable plastics that can be mass-produced quickly, cite sources. Reportedly, researchers at KAUST used inkjet technology to develop sensors sensitive to minor sugar concentrations in biofluids. Utilizing a conducting polymer-based commercial ink, the team imprinted microscale electrode patterns onto the paper sheets. The team then printed a sensing coating comprising an enzyme, glucose oxidase, on top of the small electrodes. 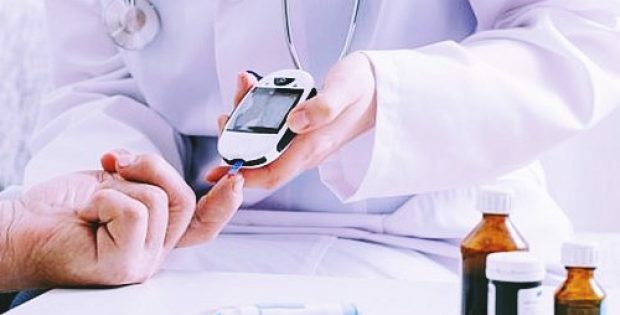 According to BusinessLine, Eloise Bihar, Postdoctoral Researcher, KAUST, said that thebiochemical reaction, present between the enzyme that creates electricalsignals and available glucose, easily correlated to blood sugar levels. Shesaid that printing the enzyme is tricky, as it is sensitive to the voltage utilizedon a cartridge, variations of temperature, and the pH of the ink. Sources claim that fluids such as saliva or sweat, contain enough sugar for monitoring purposes, as well as comprise molecules, such as ascorbic acid, that electrically interfere with conducting polymers. Covering the sensor with a nafion polymer membrane, that easily repels negative charges existing in most interfering species, offers a measurement of appropriate glucose levels in saliva samples from volunteers. As per reports, the experiments revealed that the top layer gave the sensor extraordinary shelf life, keeping the enzyme alive and active for a month in a sealed bag. The results are encouraging researchers to expand the capabilities by integrating different enzymes into the sensing layer, cite sources.